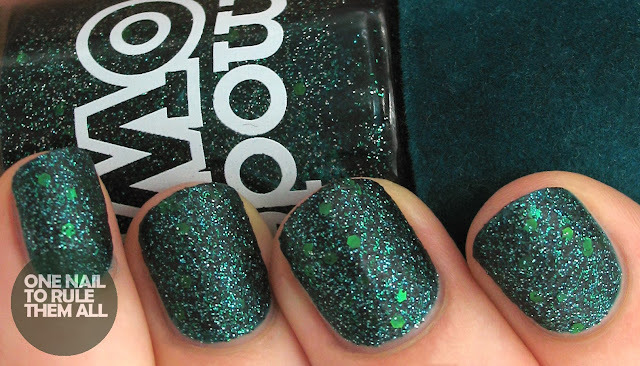 The base of these nails is the gorgeous Models Own - Absinthe*, from the recent Velvet Goth collection. As you can see, this can be worn either on its own, where it dries matte, or with topcoat (as on the design above) and both look equally as awesome. This was an easy 2 coats. In the pictures it looks slightly textured but it's actually really smooth (although not quite like velvet), which I'm glad about as textured polishes tend to get a bit irritating after a day or so. And now for the tutorial, as I'm sure it's the reason most of you are here! Step 6: Finish off with a topcoat of Seche Vite to seal in your design and you're done! Ahhh they're adorable! I don't think I'd have the patience to do so many but they're fab. 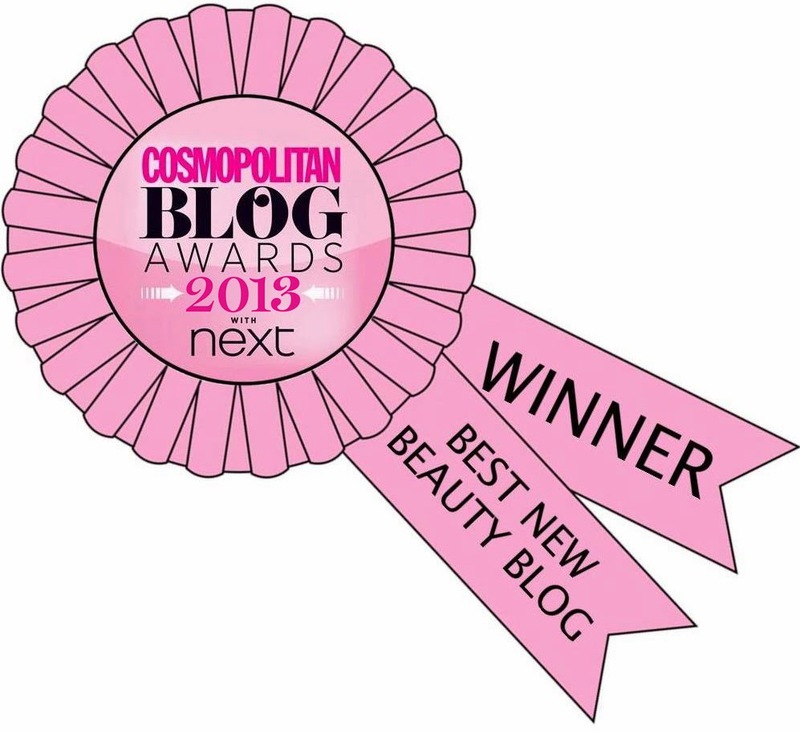 That base colour is GORGEOUS too! I am loving the velvet goth collection! Need to add this shade to my collection! OMG, these are so fricken' cute! I love these so much and that models own polish is gorgeous! Love these!!!! 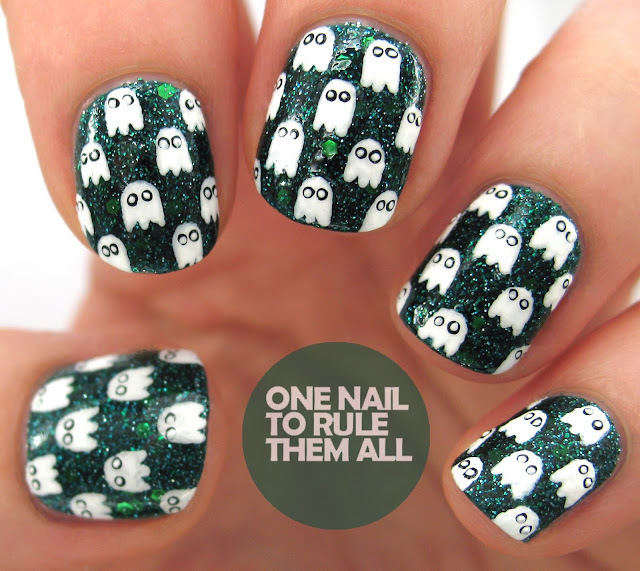 They're super ghost nails! 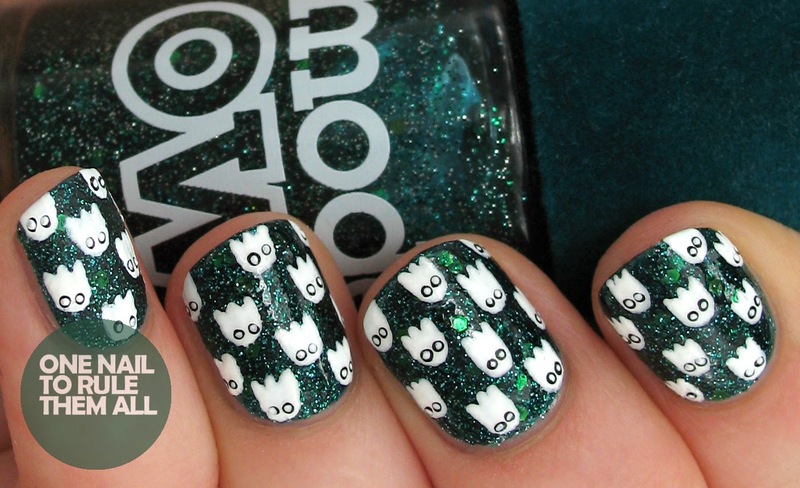 I love this nailart! I thought the ghosts were waterdecals but even better they are hand made! Wow! These are the cutest Halloween nails I've seen! So adorable.